We tell you where these investments are headed in the next Samvat and what are the possible avenues that you can look at for growing your money. Indian stock markets have rallied 10 per cent since the start of 2016. Good monsoon, passage of the GST Constitution Amendment Bill, implementation of the Seventh Pay Commission recommendations and government infrastructure spending have given a fillip to stocks. Apart from this, there has been a rally in bond prices too, driven by the Reserve Bank of India's, or RBI's, move to slash the repo rate by 175 basis points, or bps, since the start of 2015 to 6.25 per cent. But real estate, which we Indians love, has remained stagnant, while gold has given decent returns this year. Clearly, there is no dearth of investment opportunities in the market. We tell you where these investments are headed in the next Samvat and what are the possible avenues that you can look at for growing your money. 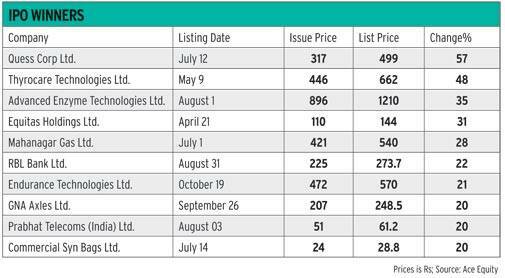 If recent listings are an indication, IPOs are offering a good opportunity to earn returns. For example, shares of RBL Bank, which came out with an IPO recently, rose as much as 25.5 per cent on debut. The IPO was subscribed nearly 70 times. This is good news considering that there has not been much IPO activity for the past several years. Besides, many big IPOs are in the pipeline, including PNB Housing Finance's Rs 3,000-crore IPO that opened for subscription on October 25. The mortgage lender's IPO is the second-largest this year after ICICI Prudential Life Insurance Co's Rs 6,057-crore offering. To make the most of the trend, you must follow some basic rules about investing in IPOs. Start by asking where the money will be used. This will give you an idea about growth prospects of the company. For instance, if the money will go into paying off the huge debts, and if the company's debt burden does not come down significantly after that, it is better to avoid the IPO. Most important, find out how other stocks in the same sector are doing. Look at their stock prices and earnings ratio. This will help you decide whether the company going public deserves to trade at similar valuation multiples. So, keep a watch on this space for quick gains, but do not forget to check the company's financials before investing. NCDs are clearly the flavour of the season for companies looking to raise funds. At a time when interest rates on bank deposits are going down, they have been the choice of investors looking for high interest rate-bearing instruments. Recently, Dewan Housing Finance Corporation's (DHFL's) public issue of non-convertible debentures (NCDs) was subscribed 6.3 times on the first day itself. Against the issue size of Rs 2,000 crore, the company received subscriptions worth Rs 12,645 crore. NCDs typically offer higher interest rates than fixed deposits, or FDs, and are like company FDs. The only difference is that they trade in the market. They cannot be converted into equity shares at the time of maturity. There are two types of NCDs - secured and unsecured. Holders of secured NCDs can claim the issuing company's assets in case of a default and are preferred over unsecured NCDs at the time of liquidation. However, because they are riskier, unsecured NCDs offer a higher rate of interest than the secured ones. Are they better than bank FDs? At present, SBI is offering 7 per cent interest on five-year fixed deposits, whereas NCDs are offering a return of 9 per cent to 10 per cent depending upon the lock-in period. DHFL, for example, is offering an interest rate of 9.10-9.25 per cent over a period of three to seven years. Similarly, IndiaBulls Housing Finance NCDs are offering retail investors an annual interest of 8.7-9.15 per cent over a period of three to 10 years. Senior citizens get an additional 10 bps. Suresh Sadagopan, Founder, Ladder7 Financial Advisories, says, "They typically pay 1-2 per cent more than the prevailing bank FD rate. But then, there are risks involved too. One can consider investing in NCDs after carefully evaluating the risk-reward equation." Tax implications: The interest earned from NCDs is added to the income and taxed exactly like interest earned from bank FDs. 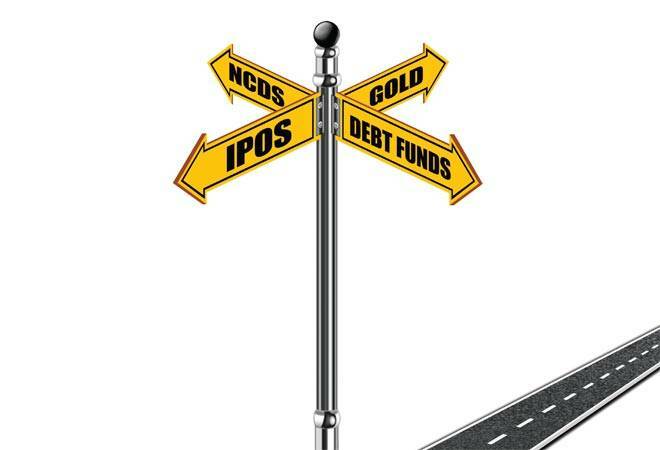 But when NCDs are sold on stock exchanges, short-term capital gains are chargeable at slab rates if the deposits have been held for less than a year. Sale after one year attracts long-term capital gains tax (at 20 per cent rate, with indexation). NCDs give higher interest rates for longer periods; the best part is that they can be sold on stock exchanges, too. However, you need to understand the risks such as the default risk if the company is not doing well and is moving towards bankruptcy. International gold prices have fallen 8 per cent to $1,255 an ounce since the peak of $1,366 in July this year. Even after this correction, gold has risen around 20 per cent this year after giving negative returns in the past three years. Tracking international prices, domestic gold prices have come down to around Rs 29,773 per 10 gm, after touching a peak of Rs 31,529 in July and hovering around Rs 31,000 for quite some time. Experts say the downside looks limited. This should work as an incentive to add gold to your portfolio as it is considered among the most stable assets. 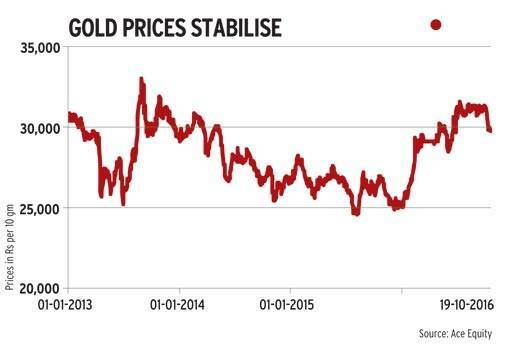 Gold prices are expected to track rise in prices over long periods. One can add it to the portfolio as a hedge against inflation. Price Outlook: There has been a looming fear of the US Fed increasing interest rates this year. The Fed had projected four rate hikes at the beginning of the year but has kept that on hold so far. However, the minutes of its September meeting suggest an increase in December. Gold prices are inversely related to interest rates as well as the US dollar (both compete as a safe haven for investors). Rising interest rates make other investments more attractive. This reduces the demand for gold. However, given the political and economic uncertainties across the globe - right from US elections to action of central banks - experts believe that gold will continue to be in demand due to its safe-haven status. That is why its prices may not fall much. So, you should use the latest price dip to build exposure to the yellow metal this festive season. The fall in prices can spur demand, say experts. "Gold prices can go down to Rs 28,700 and Rs 28,500 per 10 gm from current level. After that, there will be a consolidation phase and post that we may see a recovery, says Sugandha Sachdeva, AVP & Incharge - Metals, Energy & Currency Research, Religare Securities. How to invest in gold: For investment purposes, Exchange Traded Funds, or ETFs, are one the most efficient ways of buying gold. You can save on making charges (which can be pretty high) and save yourself the worry over physically securing the asset. The Sovereign Gold Bond (SGB) scheme also allows you to invest in gold in paper form. The underlying asset in these bonds is gold. At the time of exiting you are paid for the number of units you own at the prevailing gold prices. The icing on the cake is the interest of 2.75 per cent per annum. The sixth tranche of SGBs has been launched with interest rate of 2.5 per cent and Rs 50 discount on nominal value of the bond. The issue price has been fixxed at Rs 2,957 per gram. Given the global macroeconomic uncertainty and geopolitical risks, it is important to have gold in one's portfolio. "We recommend that an investor hold 10-15 per cent of his portfolio in the form of gold," says Chirag Mehta, Senior Fund Manager-Alternative Investments, Quantum AMC. In a falling interest rate scenario, you should look beyond FDs. Debt mutual funds can be a good alternative considering that interest rates in India are on their way down. Bonds usually rally when this happens. Debt funds have had a good run over the past two years; some have actually delivered double-digit returns. When rates fall, bond price go up, leading to rise in net asset values, or NAVs, of funds. The various types of debt mutual funds include accrual funds (earn from coupon payments), duration funds (take call on direction of interest rate movements), credit opportunities funds (invest in high-risk debt papers for a higher coupon). So, it is better to understand which type of funds will suit you before investing. "An investor looking to get a regular stream of inflation-beating post-tax returns with safety of capital can invest in a good quality accrual fund and start an annual SWP (Systematic Withdrawal Plan) for a pre-determined amount (say 7 per cent or 8 per cent of the principal) to get regular tax efficient stream of income," says Anil Chopra, Group CEO & Director, Bajaj Capital. Moreover, gains from debt fund held for more than three years are taxed at 20 per cent post indexation. If the investment has been held for up to three years, the gains are taxed just as the money earned from bank FDs. Whether markets are up or down, the best way to invest in mutual funds is through SIPs. Staggering investments means you buy when markets are up as well as down. This averages out your costs and so is the best way to beat the stock market volatility. The SIP discipline ensures that you earn decent returns. Last, but not the least, right allocation to different assets and diversity of the portfolio are key to higher returns. Buy insurance, invest in mutual funds, and stay invested to ride the wave.